Hannukah officially becomes a high holiday when you take a toke off this amazing menorah bong from GRAV. This ain’t your bubbe’s menorah. A glass masterpiece (glassterpiece? 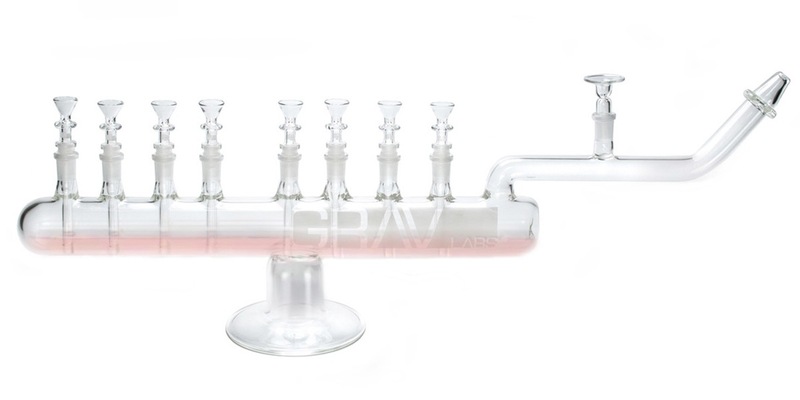 ), the GRAV Menorah bong features 8 bowls and is sure to make your Hannukah celebration one you won’t soon forget. Actually you probably won’t remember anything cuz you’ll be blazed. Here’s a crazy story, tho. I got super sad when I realized I only had enough reefer for one bowl of the menorah bong …but miraculously it lasted for EIGHT bowls worth!! So thanks to the miracle of Hannukah, it practically pays for itself.